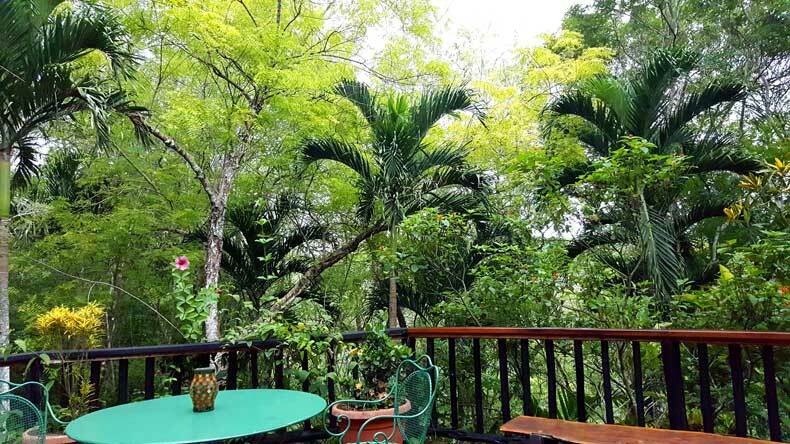 Western Belize is known for it’s luxurious and eco-friendly jungle lodges. 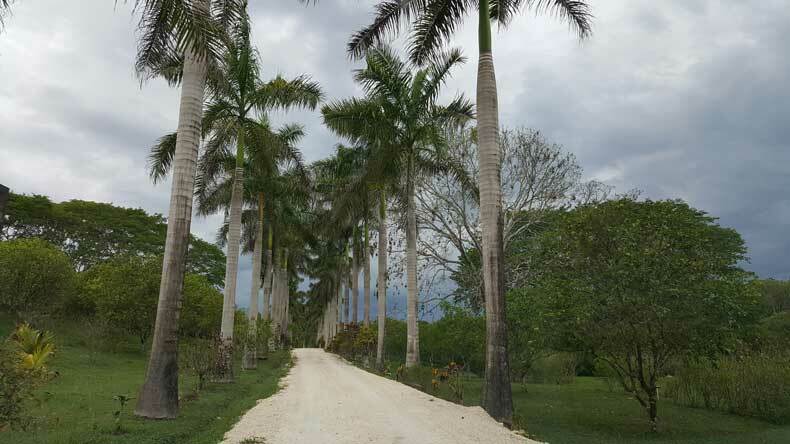 In fact, staying in a Belize jungle lodge is so popular that it has basically become part of the Belizean experience. We stayed at Table Rock Jungle Lodge located just outside of the town of Cristo Rey, and about a 15 minute drive from San Ignacio, Belize. 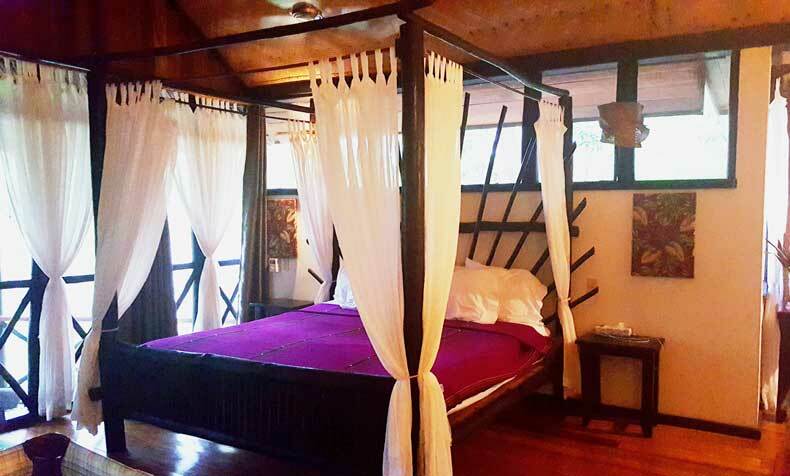 This beautiful, intimate Eco-lodge is somewhat secluded in the dense jungle. There are only eight rooms at the lodge. Each one is a private cabana, with a lovely porch. What is a Belize jungle lodge? A judge lodge is a sanctuary in every sense of the word. They are sustainable, secluded resorts, often on a nature reserve and completely surrounded by wildlife and the jungle’s natural inhabitants. Staying at a jungle lodge is an opportunity to retreat from the busyness of life, and hone in on what’s important. This type of lodging is truly for those who want to escape from the every day stresses. Table Rock Jungle Lodge is a beautiful property. It is sustainable yet luxurious. 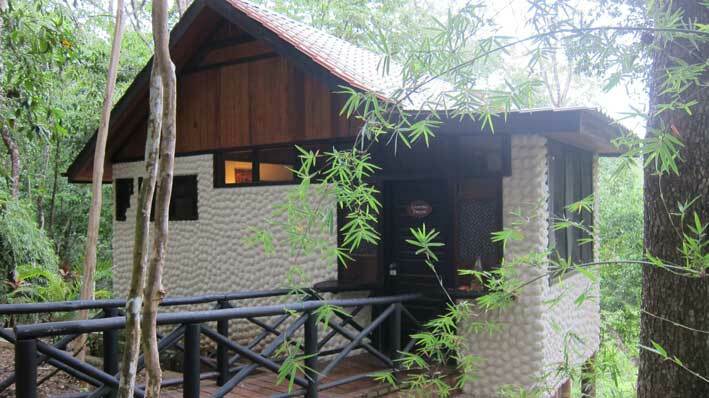 And compared to some of the other jungle lodges in the area, it is moderately priced. The cabanas are not air conditioned. Instead, they use commercialized fans located directly over the bed and directly over the futon sofa. The fans work very well and do actually keep you cool at night. However, the rest of the time you would not want to spend much time in your cabana, because it does get quite warm. I found taking a shower each night before bed cooled us off just enough that when we climbed into bed it was not as muggy, and we woke up almost feeling cold. If you are hot-natured, this is not the hotel for you. Along the lines of being a sustainable lodge, Table Rock Jungle Lodge collects and uses rain water. They also use an on-demand water heater and generate their own electricity through solar panels. You won’t find any electrical outlets in the rooms either, only USB charging stations for small electronics. So if you are the type of person that needs a hairdryer or curling iron, you’re out of luck. There is free WiFi on the property, but only during certain hours of the day (7a.m.-7p.m.) and you can only access it from the common areas of the property. There is a great, outdoor restaurant on the property that offers breakfast, lunch, and dinner. The food is wonderful, and much of it is grown or produced at Table Rock. Their eggs are collected daily from free-range chickens on the property. Their fruit is grown in their orchards, and their herbs and vegetables are grown in their farm. They are also very willing to accommodate any dietary needs or special requests made in advance. The lodge sits on a 100-acre reserve that borders the Macal River. 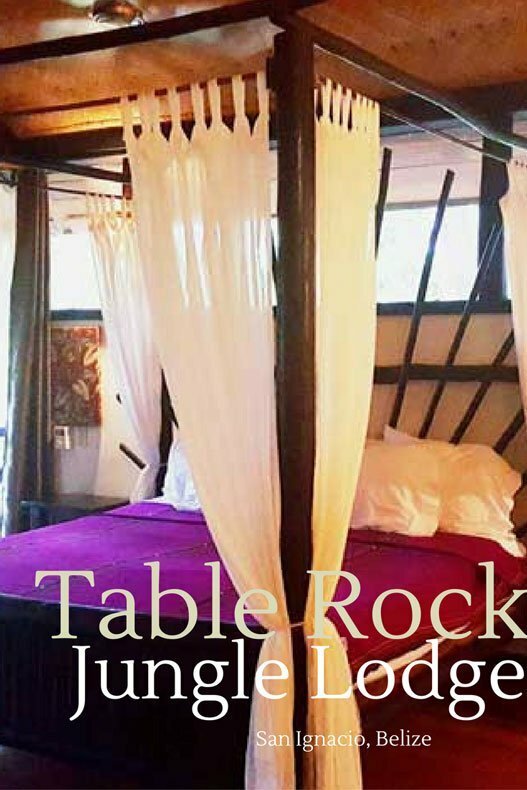 Table Rock Jungle Lodge is a great place for families, as it offers a variety of on-site activities. 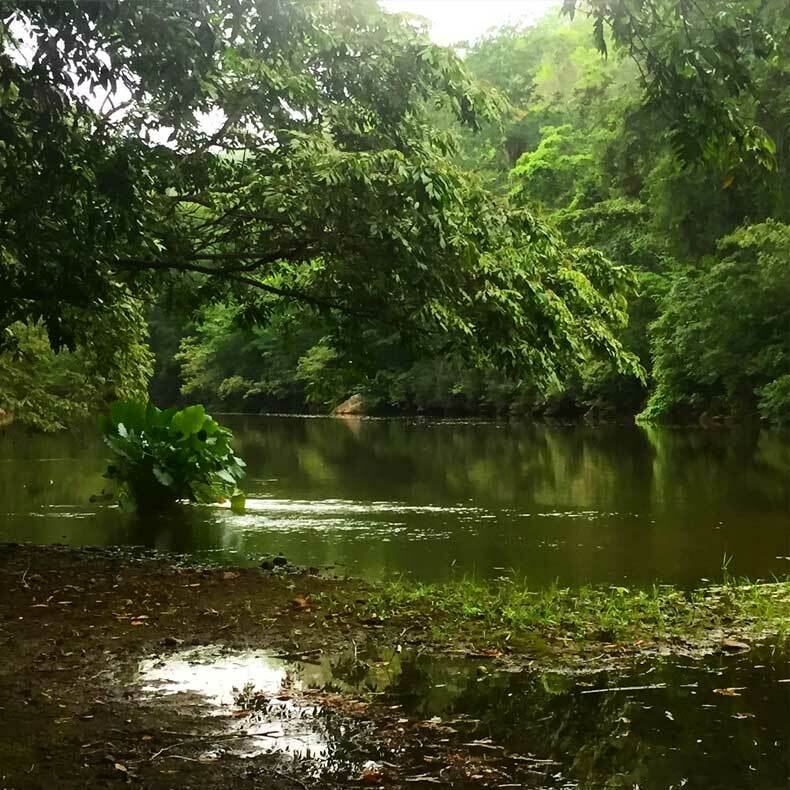 Guests of the lodge can swim in the river, canoe or tube (provided free of charge by the hotel), bird watch, hike, or roam through the property’s adjacent orchards and pet or feed the friendly resident donkeys. The lodge also offers life jackets you can borrow for your river activities. I think the deepest the river actually gets is about waist-deep on an adult in the swimming area. 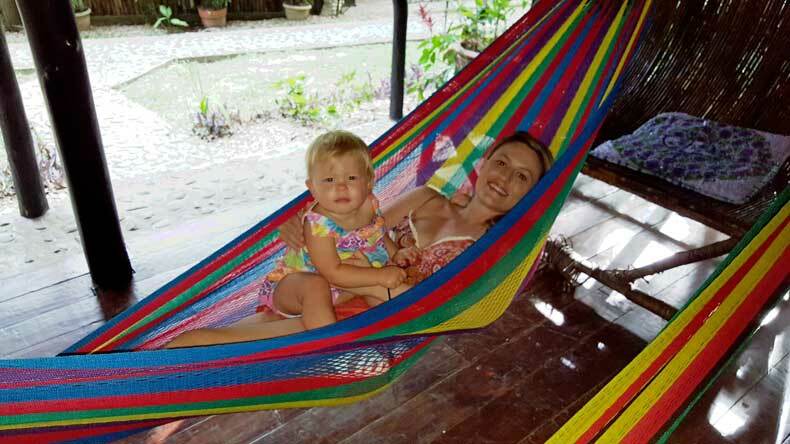 Overall, I would recommend Table Rock Jungle Lodge for families or couples. They offer pack n plays for babies or toddlers. If you do plan to visit with a noisy little one that is prone to night waking, I would recommend requesting the most secluded cabana available prior to your stay. 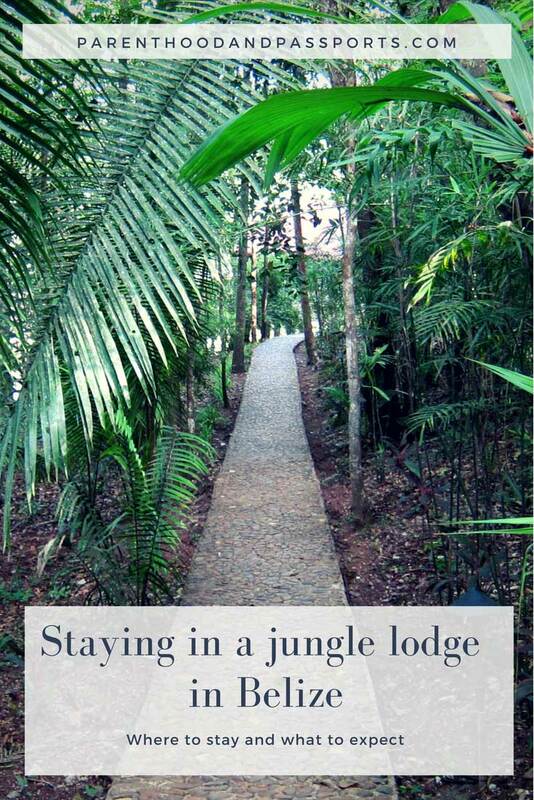 Have you stayed in a Belize jungle lodge? We’d love to hear your experience. Leave your thoughts in the comments below. For more information on visiting Belize with kids and a look at our complete kid-friendly itinerary, click here.